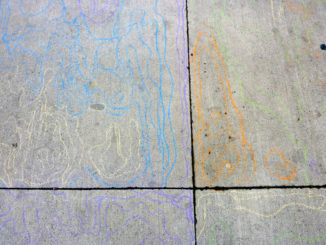 HomeDESIGN AREASLandscape ArchitecturePLANT’s two Everyone is King installations have hit the street! Both of PLANT’s winning entries in the City of Toronto’s Everyone is King Design Build Competition are now animating King Street. 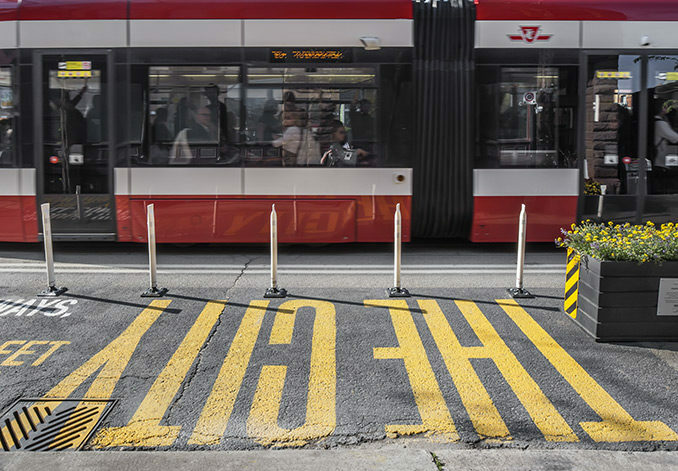 The City’s King Street Transit Pilot got underway earlier this year to test out whether one of Toronto’s busiest traffic arteries functions better with a ‘more streetcars, fewer cars’ approach to traffic management. Now the Everyone is King competition is adding art and amenity to the pilot stretch of King with a mix of ephemeral and relocatable curb lane installations – all of them just six feet wide. 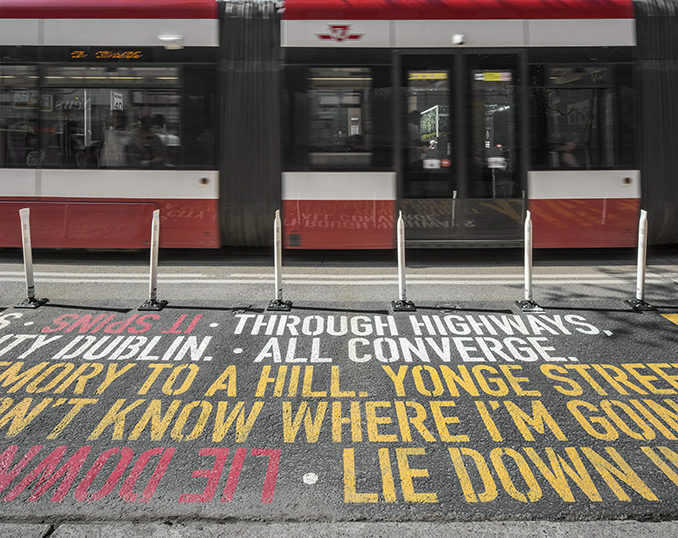 In May, PLANT’s team completed the installation of the studio’s temporary piece, Asphalt Poetry (above and top three photos at right) on the south side of King just west of Brant Street. 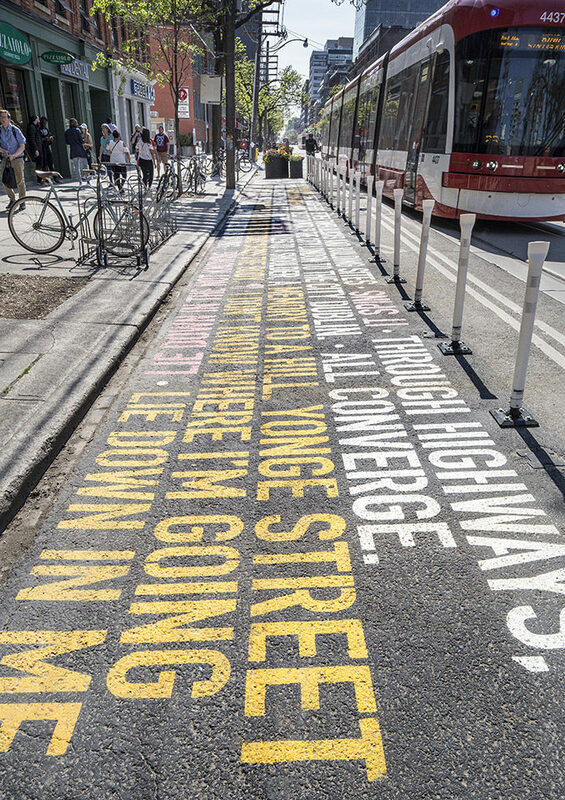 We collaborated with poet Ronna Bloom, transforming The City, a poem she wrote for Everyone is King, into a words-on-the-street artwork with lines of text running east and west, so that Bloom’s piece can be read from the streetcar or the sidewalk. 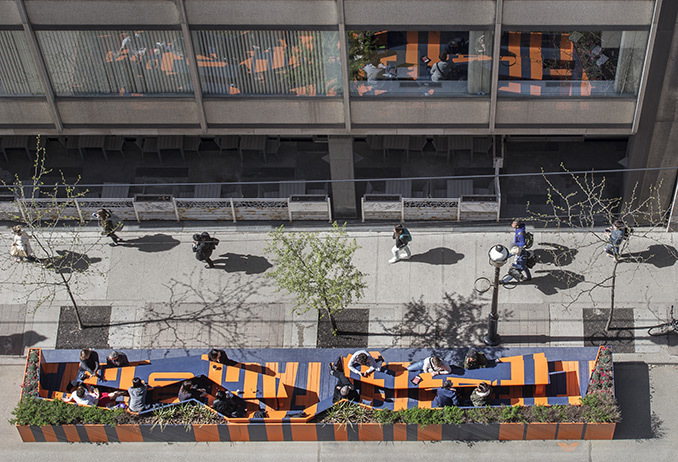 Face to Face/Tête-à-Tête, our other winning design in the competition (below and lower three photos at right), was installed in April on King just east of Yonge, directly opposite the King Edward Hotel. 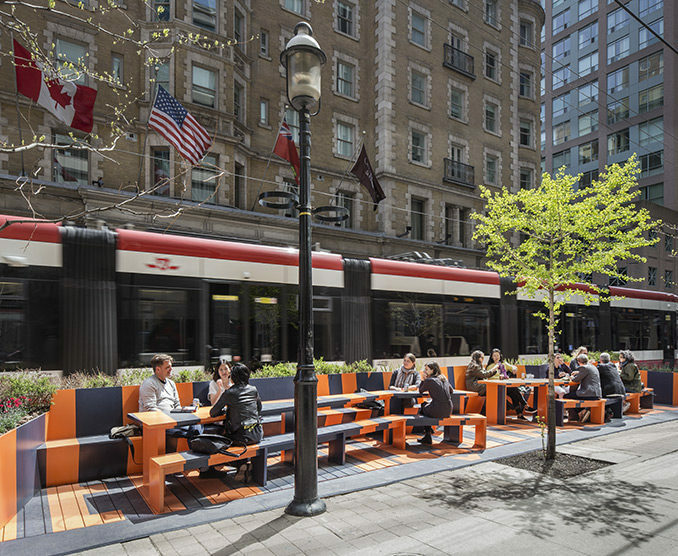 This one is a ‘durable destination parklet’, which means that it can be dismantled and re-installed at other locations. Creating space for concentrated conversation or pausing to watch the passing urban scene, this installation encloses two narrow, boomerang-shaped tables between zigzagging benches. In vivid orange on navy, the words “Face to Face/Tête-à-Tête” project dynamically over all surfaces – bench, planters, tables and deck. 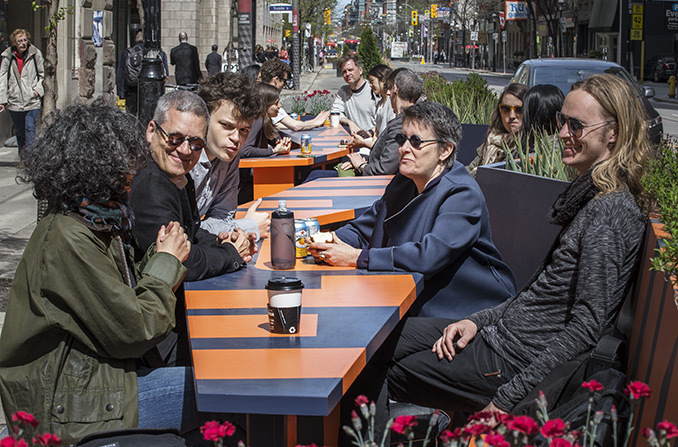 PLANT’s design team was the only one to submit winning entries in both the ephemeral and durable Everyone is King categories, and we’re delighted to see people enjoying both additions to the streetscape.